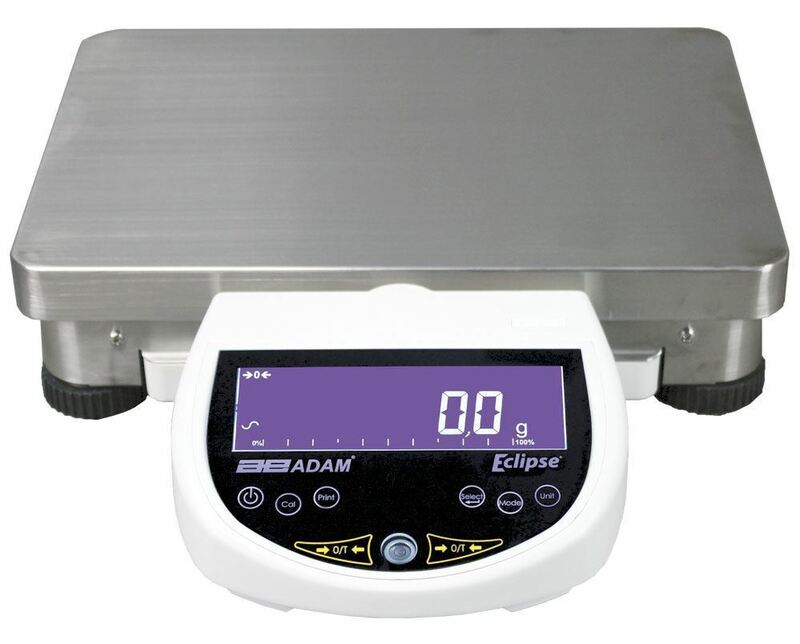 32,000g Adam Eclipse® High Capacity Balance - Gilson Co.
CP-64 32,000g Adam Eclipse® High Capacity Balance is high capacity, precise and affordable, and has 16 weighing units that record in g, kg, lb and oz. Readability is 0.1g (0.0005lb). The balance is equipped with electronic overload protection and capacity tracker, and the sealed and illuminated touch keypad with smooth surface can be wiped down easily. External Calibration Masses are used for calibration verification and adjustment. A backlit LCD display is attached to the front of the balance. USB and RS-232 ports connect and communicate with the user's computer and printer. The balance is constructed with a large 15.7x11.8in (400x300mm) WxD grade 304 stainless steel platform, and rugged metal frame with level indicator and adjustable feet. An 18V AC adapter is also included, and the balance is CE and CUL marked. A CPA-20 Weigh-Below Hook can be purchased separately to provide weigh-below capability.